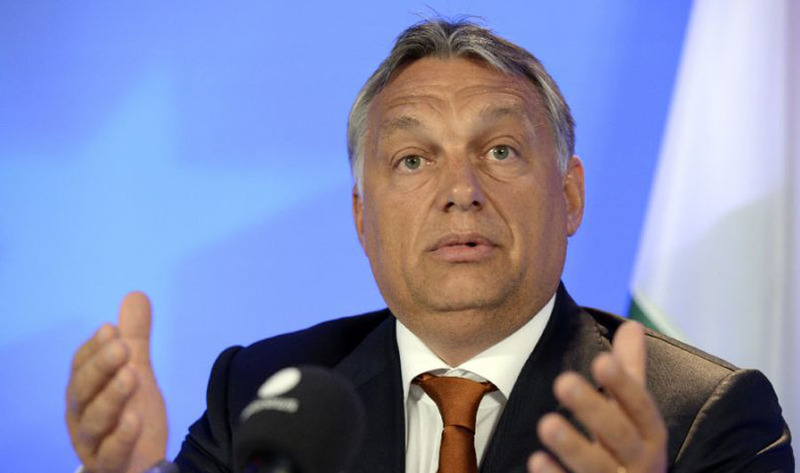 Fresh fears were raised about press freedom in Hungary Friday over a new centralized structure for media organizations supportive of Prime Minister Viktor Orban. Some 500 pro-government media outlets, national and regional, will be brought together under an umbrella group, the Central European Press and Media Foundation (CEPMF), said a statement from the new group earlier this week. Its aim, it said, was to “ensure the preservation of national values,” said the statement. The outlets in question — which include newspapers, magazines, websites, radio and TV channels — currently belong to 10 different media companies, said the statement. The owners of those companies will “donate” their outlets to the non-profit CEPMF. “Such a concentration of media power in the hands of one entity is unprecedented in an EU member,” Gabor Polyak, an analyst with the Mertek Media Monitor think-tank, told AFP. “To do this so openly is a message to both Hungarians and Europe, that the government believes it can get away with anything,” he said. Since coming into power in 2010, firebrand nationalist Orban has transformed the country’s public media into a government propaganda organ, while his allies have steadily bought up swathes of the private media sector. The country’s media regulator, set up in 2011 as part of Orban’s first overhaul of media structures, is seen by critics as packed with Fidesz loyalists. Media rights campaigners Reporters Without Borders put Hungary 71st out of 180 countries in it last international rankings of press freedom, down from 23rd when Orban’s Fidesz party took power.